Elkagorasa has reached a point in his gearing, that I think Heroics are in order. I've ran a number of normal dungeons and gotten a number of gear items. According to the armory, he's at a 607 gear score equipped with 613 looted (or in bags). 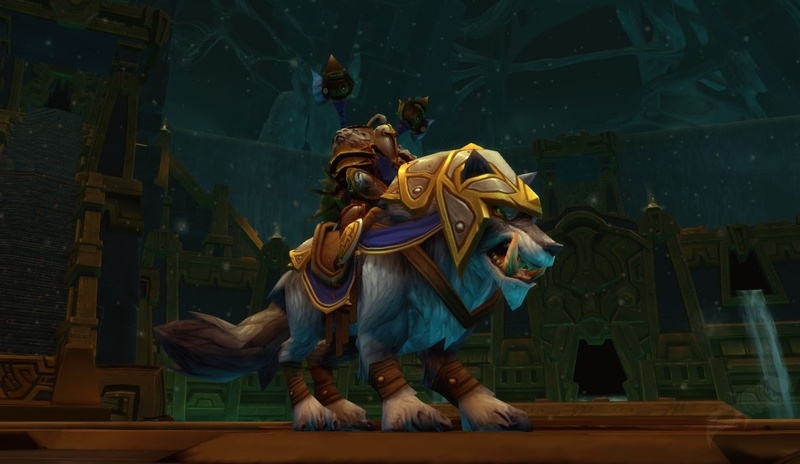 The proving grounds, introduced back in MoP, are a series of 8 fights in increasing difficulty that are supposed to test your raid worthiness. The start with basic single target fights (do you know the class rotation) in bronze, with multi-target aoe fights and cc requirements (stop the healer!) in silver. Basically DPS down all illusionary npcs, before the timer runs out. In Warlords they were implemented as a bar to pass before entrance. The Tavern in my garrison is only adding to the frustration with all the heroic quests that keep popping up. "Go get this item from UBRS" but it forgets to tell you that it only shows on Heroic. (Note skull in quest log for heroic dungeons quests). My frustration with the proving grounds is two-fold. First off, the proving grounds still use mechanics introduced with MoP. I doubt we'll see amber-weavers in any Warlords content. They cast a ball of amber that is to be avoided. If used correctly, it stuns a npc for a short time so they do not cast. Amber-weaver vs healer, amber-weaver vs amber-weaver. Sure, I get it. If you can kite the amber glob, you win. To-date, I've seen the last fight once. I had a rare opportunity where I was going along and doing everything absolutely perfect, until the last fight. Wham-o. I wasn't ready for what was to come and I was stunned in amber globs two times in a row. Time out, game over, start back at fight 1. Sure, there are how-to's. I've watched this one a few times and it seems sound. (fear, chaos bolt, repeat.) I might try that, but it means new talents, different pet, changing glyphs, basically everything needs to change about my warlock. I don't like it. This isn't proving anything other than I can do research about how to pass this requirement. One saving grace I've found in my research. Maybe Elk isn't geared enough. His 607 actual gear score may be too low. The proving grounds will scale up/down to match your gear score, but WowHead suggests a low item level score of 615. With this, I found, as an Alchemist, that I could easily make the Draenic Philosopher's Stone. This replaced the 520 trinket from the Badlands quest chain. In addition, I got a rare upgrade on a quest neck item replacing a 585 green quest neck. Nice bump to 614 average score.. WoWhead guide with a number of other options. Here's hoping for success. Try again when I have more patience for losing..